and we are now a team of 30 people! Everyone is becoming a 3D creator: with technologies like 3D capture coming to our smartphones, and tools like Tilt Brush or Medium letting you draw and sculpt in 3D space, anyone can capture the world in 3D or express themselves. This is great for beginners, but also empowers professional artists with better and faster workflows. Everyone is becoming a 3D consumer: we are moving from the information age to the experience age, and this shift is powered by 3D. With the VR and AR headsets coming to market, everyone needs virtual versions of things, people, places… 3D is becoming a common media format, consumed at scale like images or videos. 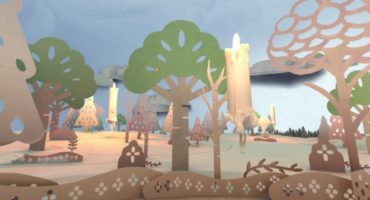 3D on the web is not limited to desktop only, and now runs great on mobile, and even on VR headsets thanks to WebVR. We are proud to be a cornerstone of this ecosystem, filling a much needed gap by providing tools to creators and content to visitors. This week, we are also celebrating another important milestone: more than 100 million unique visitors have accessed 3D or VR content through Sketchfab. 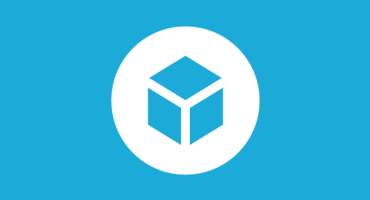 In total, Sketchfab 3D scenes have gathered close to half a billion views. This traffic speaks to the astonishing work published by our community. Content that keeps getting better and better as we improve our technology and keep adding new features (VR, physically based rendering, animations…). But this is not only about fabulous content. Great content doesn’t matter if no one can discover or access it. That’s why we spend so much energy making sure our technology runs on every device, and your content can be shared and embedded everywhere, to reach the widest possible audience. The last year had so many great additions and for me as a long-time community member I’m happy to have witnessed and contributed a small part to the growth of one of the most positive communities I’ve ever seen online. Wohoo, happy to have been a part of the sketchfab masters team for a Year. Feels amazing how many great scenes get published each day. Congratulations and thank you for everything. Happy Anniversary! And thanks for all the amazing designs. WOW, time flies by when your doing awesome stuff 🙂 Keep up the great work guys. Happy 5th Yearday, Keep up the Good Work!!! Congratulations!!! And thank you to brig us this amazing platform. Right On 🙂 ! Congrats! Thank You’s! And all the best 😀 ! You have come a long way guys … congrats! Once again and very sincerely, thank you for this great platform! ??? Happy 5th Anniversary! Friends. Congratulations. Thank you and Happy Birthday Sketchfab! Happy Anniversary, congratulaions to all the success! Happy anniversary sketchfab, you’ve added 3rd dimension and movement to portfolios. Incredible! Thanks for being an absolutely wonderful platform for browsing and showing off 3D content. Staff are always active, supportive and constantly improving the service. So hats off, really! But you know what I can’t wait for on that timeline of events? The real deal, Sketchfab app. An app that can harness the full power of a mobile device, but browses through the models like the website. The VR app is great – but this would really be something else. 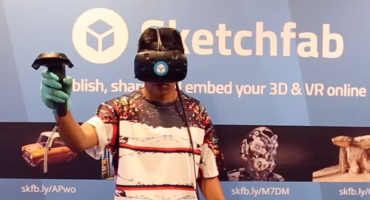 To the future of sketchfab and 3D! Great job on 5 yrs. I love this site and I hope you continue to inspire people through 3D modeling. Thank you all for the warm comments, such a pleasure to grow this together!